Overall height 4.894" Overall width 3.315" Overall depth 1.518"
Q: I am looking for a fused bus that has one power feed from my battery. From there i would ground and power up. These look like I would need to run power to each fuse. Is this correct? 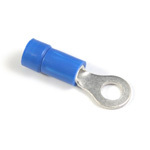 The ST (Screw Terminal) Blade Fuse Block was designed with screw terminals to comply with ABYC Recommended Practices and built with tin plated copper components for improved conductivity and lower operating temperatures. A cover comes standard with each model to protect the conductive surfaces from accidental shorting, label each circuit and store spare fuses. 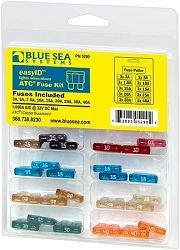 The ST Blade Fuse Block is ideal for use as a sub-panel in the DC distribution system. This solves the problem of large and expensive circuit breaker panels used to provide circuit protection for electronics and other branch circuits. 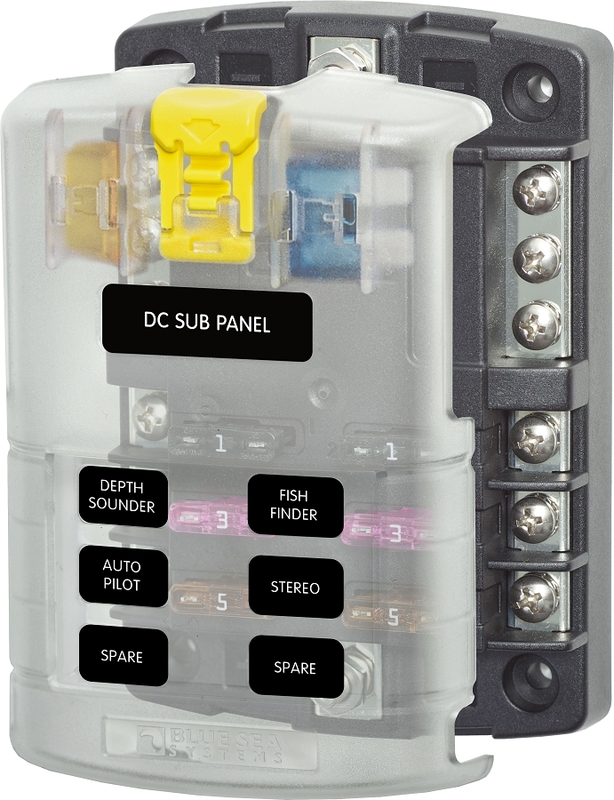 With most circuit breaker panels a circuit breaker is used as well as an inline fuse for most electronic devices. 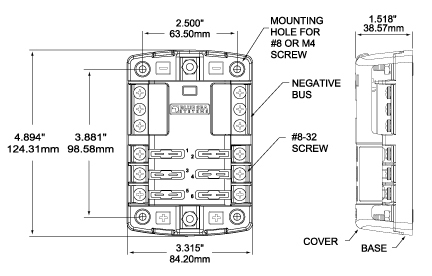 Below is a diagram of a typical panel installation. 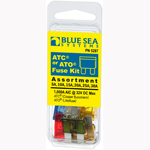 By using the ST Blade Fuse Block as a sub-panel the space used is reduced and fuses more appropriate for electronics can be used. 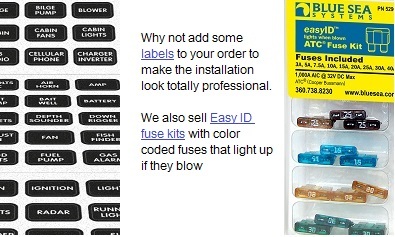 This provides up to 12 branch circuits and does away with the inline fuses while using only one position on the panel. 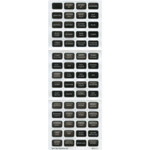 This allows the use of a smaller panel and the system has a lower overall cost per circuit.